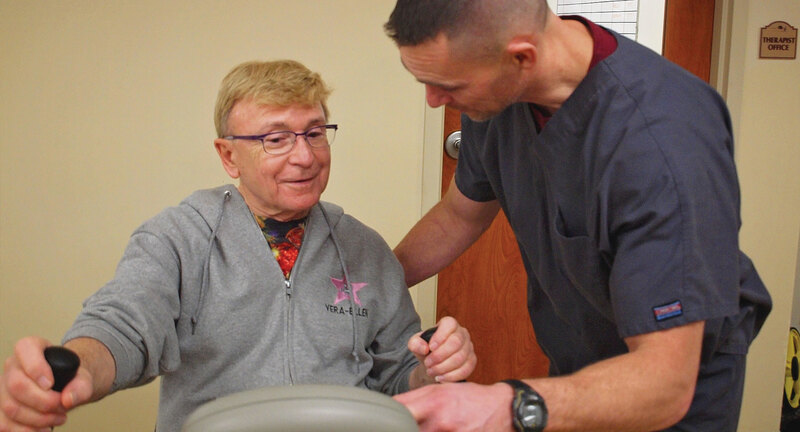 For more than 60 years, The Rehab Center at Thornapple Manor has been providing patients with a breadth of expertise unrivaled in the area. Walking with you hand-in-hand. 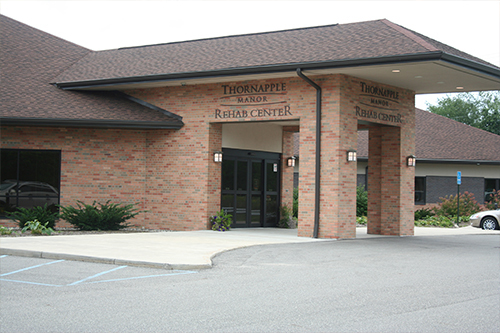 The Rehab Center at Thornapple Manor Team provides rehabilitative healing and recovery in a compassionate environment that is nurturing and welcoming to all. 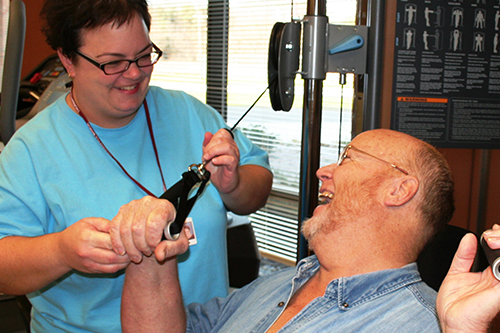 Our diverse team of experts include physical therapists, physical therapist assistants. nurses. certified nursing assistants. occupational therapists, occupational therapist assistants and speech language pathologists. In addition to our in-house team of rehabilitation experts. we work with the finest internal medicine, orthopedic surgeons and family practice doctors in West Michigan – maximizing each patient’s overall functional independence and recovery. 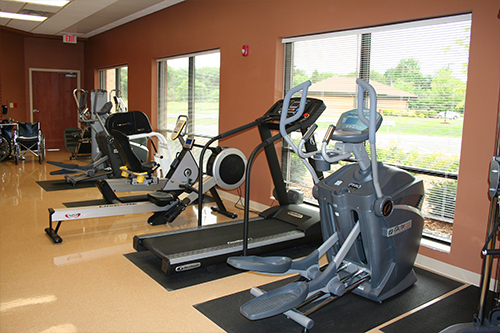 During your stay at The Rehab Center, you will enjoy many luxury amenities. The Rehab Center offers beautifully appointed private rooms with bathrooms, and its own entrance, making it inviting for both visitors and friends. 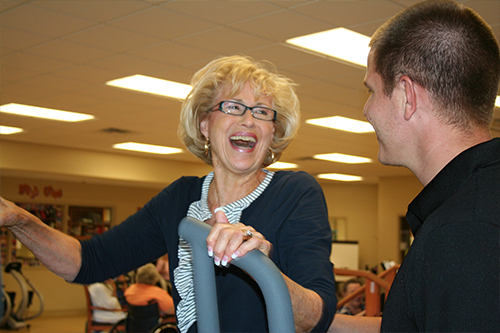 When you choose Thornapple Manor Outpatient Rehabilitation, you’re choosing to get back to what you love! Our comprehensive outpatient services include Physical, Occupational, and Speech Therapy, all in one convenient location. We offer a continuation of care for those who may need more therapy after returning home from a recent inpatient stay and also for individuals whose physician has referred them for therapy. We are proud to offer flexibility, mobility, and recovery. We Are In The Business Of Healing. Not Just With Medicine, But With a Warm Smile And A Caring Touch. 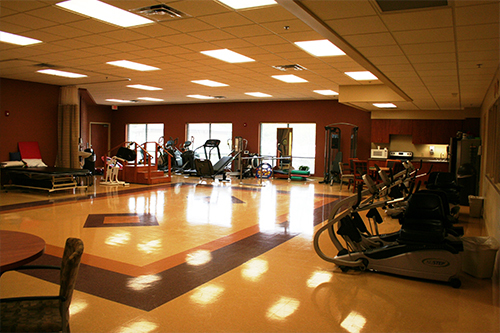 The Rehab Center at Thornapple Manor has earned a reputation as a place that offers outstanding inpatient and outpatient services with a personal touch. Prior to completion of your therapy our services may include a home safety assessment. We will recommend any needed safety equipment, in-home services, and provide caregiver training to ensure a smooth transition. Even after discharge, our relationship doesn’t stop. The Rehab Center at Thornapple Manor’s interdisciplinary team conducts home evaluations to help ensure patients will be able to safely return home. The Social Services department also provides connections to community support to help ensure a smooth transition. We ensure that when patients return home – they do so with confidence!